Board index Facebook Fridays! - Free LMCCo Product Giveaways Every Week! 2015 Facebook Fridays! It's Facebook Fridays! for August 7, 2015, and we want to help your family's love flourish! The Lucky Mojo Curio Co. is hosting a random drawing to give away Dixie Love Spiritual Supply prizes to 4 lucky winners intending to bring family stability and home-centered romance. 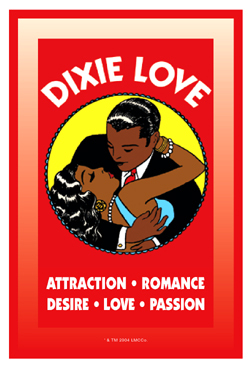 This week the prizes include: 1 package of Dixie Love products including a Dixie Love Vigil Candle, a Dixie Love Dressing Oil, and one each of Dixie Love Incense Powders, Bath Crystals, and Sachet Powders. Second, a pair of 1 Dixie Love Vigil Candle and 1 bottle of Dressing Oil. 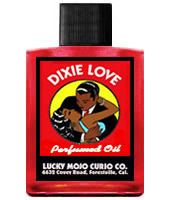 We are also giving away 2 bottles of Dixie Love Dressing Oil to two more lucky winners, four in all! First thing tomorrow morning, we will select FOUR winners at random, announce their names here, and ask them to message this Facebook Page with their mailing addresses, so we can send them their FREE Dixie Love products. We have a winner! In fact, we have 4 lucky winners! Our Facebook Fridays! winners for August 7, 2015 are: Kurt Robert, Heraldo Jerry Olivarez Jr., Alicia Tee Kennedy, and Christine Hardaway Coleman.